You've always dreamed that one day, you'd be buying a classic Mustang. Well, if your day has finally arrived, then the reality of needing to know exactly how to find the very best classic Mustang for sale, has also likely come to mind. That's where this buyers guide comes in. What constitutes a good deal in a classic or vintage car? After all, you don't just walk into your local Ford dealership, pick your favorite color and sign on the dotted line. Not usually anyways. Its also not the same as going to buy used Mustang cars that are newer than 10 years. Instead of looking at available options and who has the best warranty, or financing, you'll need to know a whole new gamut of questions and why you need to ask them. How long ago was the motor rebuilt and was it to factory specs?Has this car been restored completely to factory original?Are the floor pans rusty or have they been replaced?Is this an original V8 Mustang or was it converted from a six cylinder engine. 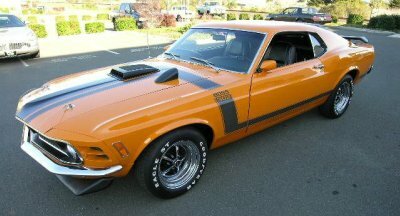 When the car was rebuilt, did they buy used Mustang parts or are they new? There are several reasons for these questions and others, when evaluating a vintage Mustang, Mustang Cobra or, frankly any older classic car. There are two main considerations, assuming you are not simply buying yourself a project car. The first consideration, for any older or vintage car, is determining if all necessary mechanical pieces been repaired or replaced to ensure road safety and guarantee that you will pass any required local mechanical inspections needed for licensing. The second reason is to help determine the value of the classic Mustang for sale. For example, a six cylinder Ford Mustang that's in identical shape as the same vintage car powered by a V8, always costs less. Pony car buyers tend to associate the V8 engine with the Mustang and that bumps the price upwards. Cars with the V8 are becoming more rare and that has caused their price to go up even more. So, enterprising mechanics and enthusiasts have started converting these less desired cars to a V8 engine. This tends to put the price somewhere between a genuine car and an inline 6 cylinder car. A convertible, just like when they were new, is more expensive and desirable than a coupe. A fastback or sports roof (same thing) is more expensive than a coupe, but possibly not more than a convertible. So all other things being equal, a six cylinder Ford Mustang coupe would be the least expensive classic pony car. Some people prefer all original low mileage cars over a restored car. Depending on how rare the car is, this could bring the car up or down in price. Many areas have special low insurance rates for a collector car or antique car. Typically, to qualify, the car must be completely original, no custom wheels, no lowering, no big pipes or tires hanging out. So if that's your plan, make sure you check your local regulations before you buy. Then you can educate yourself as to what needs to be there in order for your new car to qualify. Whew! Not so simple. But let’s not get bogged down in too many details. If we set out some specific guidelines, then we can skip some steps. Most importantly, start looking at Mustang pictures, on the internet, and the library and magazine racks. Decide what vintages and styles of pony car you like and forget the rest. Is a V8 important or are you mostly interested in finding a nice looking, well running solid car? Is your primary interest, an ultra high performance car. Do you want a classic design with a modern power train, upgraded brakes and suspension? If you answered yes, to the last question, then your choice is now commonly known as a Restomod. Once you've come to a decision, it's simply a matter of making sure you've checked the mechanical details or hired a qualified mechanic who's up for the job and comparing similar Mustangs for the best combination of, exterior condition, mechanical shape and price. Use this guide along with online resources to help you know which years had which options, engines and which features are important when buying a classic Mustang. You'll be cruising in style in no time. Return from Buying a Classic Mustang to Mustang Articles.